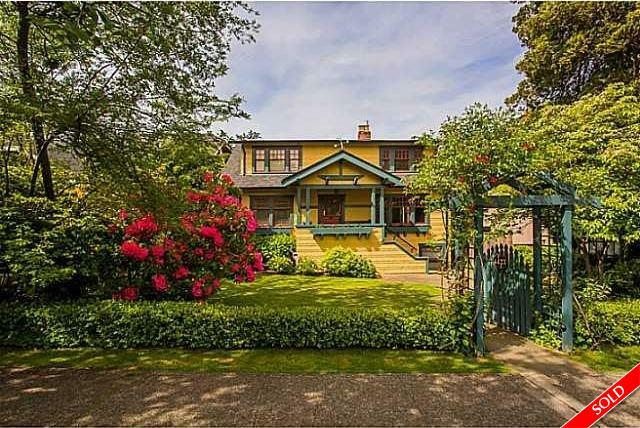 Listing Provided by: Macdonald Realty BGW LTD.
A warm welcome awaits in this classic Point Grey character home. Tastefully updated, this 3 level home with three bedrooms up features beautifully landscaped front and rear gardens, original hardwood floors, bright and spacious living and d ining rooms, renovated kitchen/family room and finished basement with cozy one bedroom suite. Close to all Point Grey amenities, UBC and only 20 minutes from downtown Vancouver.